« Is It Time to Create Your Life Plan? People respond to change in very similar ways although the speed that people deal with change and the peaks and troughs of emotion can vary great from person to person. The emotional response to change follows this pattern…. Initially people need to time to recognise what is happening. For a time people may appear to do nothing or very little – perhaps not even coping. A range of reactions may be experienced or observed of others. For Instance in a work situation it can manifest itself as extreme reactions including angry outbursts, whilst others feel the need to escape what is happening. It is a highly stressful stage. 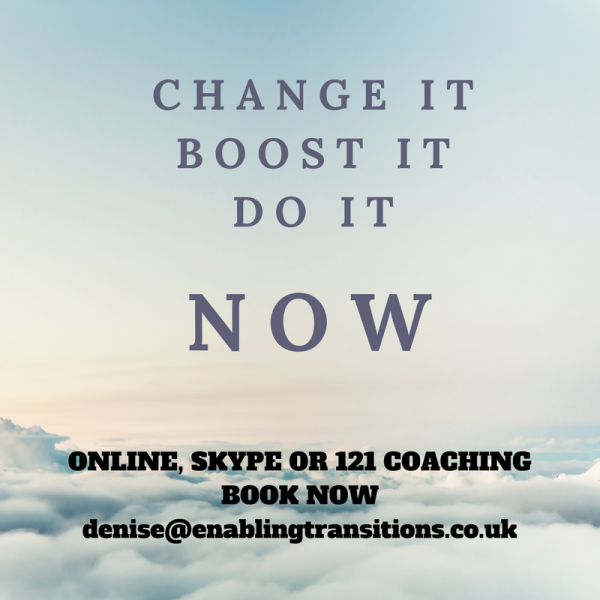 In a personal change situation people may feel that they have to change or have to make the choice to change, it’s a sort of forced change which can make them very bad tempered. This may come about unexpectedly maybe they receive some feedback, maybe their relationship is suffering, maybe they see a picture of themselves and it is a shock or they get out their holiday clothes only to discover they don’t fit anymore. Denial is a common stage. People often think it will “go away” so they carry on as if nothing has changed. For instance in a work situation this means that some people carry on with their jobs as normal, like it isn’t really happening. Often people in a redundancy situation carry on doing their role right to the last minute. In a personal change the denial comes in the form of burying things under the carpet for a while, avoiding situations where they might have to face up to making changes. Some people might even avoid mirrors for a while if they need to lose weight. At work it manifests itself as being negative about the change .looking for how it won’t work rather than how it can work. People start to realise that change isn’t going away. This can make people feel depressed or sad that things have changed and a desire to go back to how things were, “The good ol days”. For some people it is a real depression which can take years to recover from. People move on into the new world. They let go of old attitudes and behaviours that were comfortable and useful in the past. They begin to test new ways of doing things, they learn from trial and error. There are still frustrations but people a generally stronger and more positive. In a personal change situation people start to plan what they can do. They work out strategies they can have a go at. If they struggle they seek out another idea. 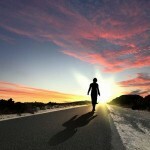 People move on as they become increasingly comfortable and competent operating in the new changed environment. Their self-esteem and confidence begins to rise. They begin to see benefits in working in the new way or with new technology / process. With personal change situations the person is seeing some results from the change which motivates them to carry on and some people begin to build on their changes. They definitely don’t want to go back to how things were before the change. Time to reflect: How do you respond to change? Do you recognise these emotional responses to change? Print article This entry was posted by Denise on January 12, 2017 at 9:08 pm, and is filed under Managing Change, Personal Development. Follow any responses to this post through RSS 2.0. Both comments and pings are currently closed.